Say you live in England and you love desert plants, succulents and cacti from South Africa, Baja California, or somewhere really exotic, like Colorado? Your soil is constantly moist, lightly acidic, crumbly with leaf-mould. It’s terrible! What can you do? That’s right, you’ll have to build your own soil. Make it lean. Make it gritty. Make it quick to drain. 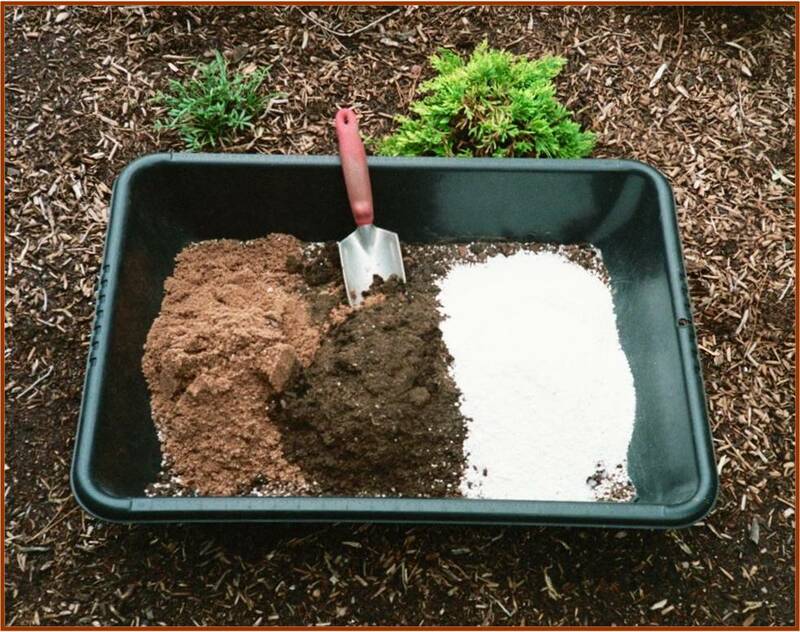 Use a little of your garden soil and mix it with equal parts coarse sand and lightweight perlite. That should do it. Now, isolate the stuff in a pot so you can control how much water it doesn’t get, and so it will dry out fast, like it would in the desert. Then plant it up. Put the whole kit and kaboodle someplace in full sun, but sheltered from the rain, and you’ve got it. Instant, handmade desert. Sound like a lot of trouble? It’s the same kind of trouble we semi-arid plains dwellers go through to grow broccoli. But what if we semi-arid plains dwellers want to grow native yucca, shrubs, sage, cactus, agave, grasses, and wild beardtongues? Should we build the soil? It’s a great question, and one with no definitive answer. Gardeners have a hard time resisting compost or believing (at least at first) that anything of value can grow without our TLC. There’s always the thought that a little assistance can’t hurt. Isn’t it what every plant hopes for? Maybe. Maybe not. Conventional ideas of fertility may not be a great thing for plants that evolved in and for such “poor” soils as ours. There is even research suggesting native plants will form stronger myccorhizal communities, taking up greater quanities of nutrient from mineral-rich soil, if left to their own devices. 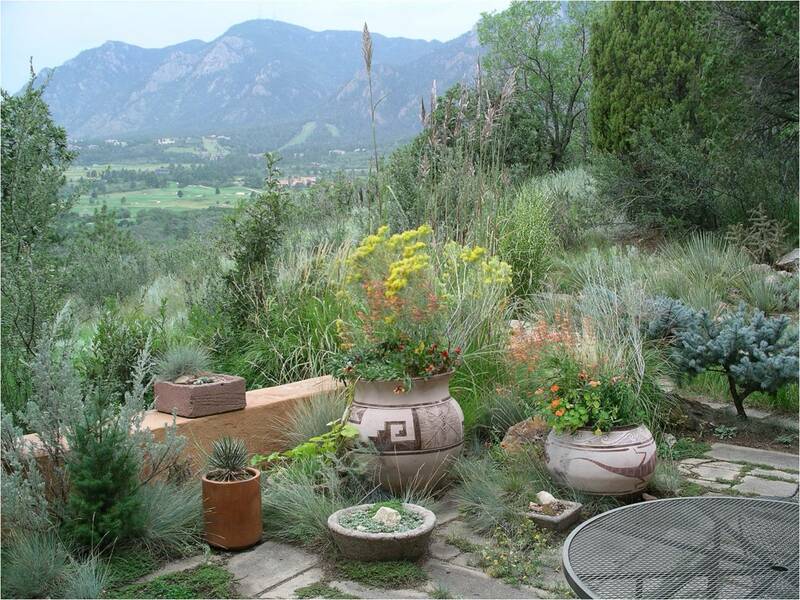 However, there are gardens featuring native plants throughout Colorado, in which soils were amended before the plants went in. There is no question these gardens are thriving. Native rabbit brush, yucca and grasses, connecting the cultivated with the wild. Why not join in the great experiment yourself, and try some natives? In addition to dirty knees and fingernails, gardeners have soil on the brain. In the Pikes Peak Region of east central Colorado, a layer of recognizable top soil is generally thin, if it exists at all. Even so, the undisturbed landscape is far from barren. A host of different plant communities have adapted to a wide variety of growing conditions, not the least of which is the soil beneath their feet. Our native soils tend to be mineral rich and poor in organic matter. Wind, the great eroder, ice, the occasional stream, and other natural forces break stone into ever smaller particles. Depending on the parent stone, the results are gravel, sand, clay, or silt. Low humidity, high winds, and gully-washing rains contribute to the mobility of these particles. 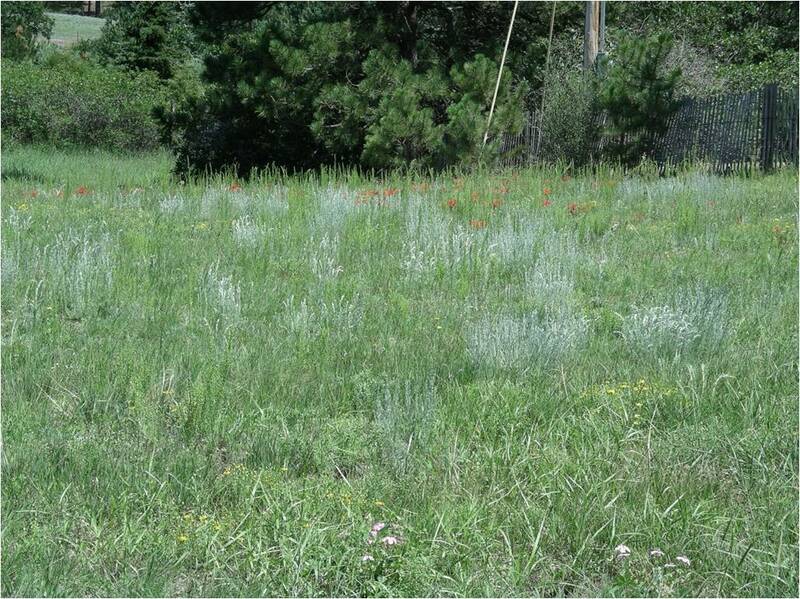 Native plant community in northern El Paso County. Native plants adapted to the soil and atmospheric conditions by developing root systems that could hold tight, exploit the minerals, and take up scant moisture. They adapted above ground by forming leathery or hairy or pale green leaves. They spread themselves around via windblown seeds or passage through the guts of birds and mammals. The tough nature of the leaves combines with low humidity and high winds to keep fallen organic matter from staying put and breaking down into humus. Thus, existing soil, atmosphere, and native plants form a self-sustaining system. Enter the wily human, many of whom are never quite satisfied with things as they are, and, let’s face it, we’re not at all suited to nibbling on sideoats gramma, yucca (except the flowers), or mountain mahogany. To encourage nearly every plant that isn’t native to the area, gardeners have to make changes. Many think it’s just a matter of supplementing the moisture that does (and just as often doesn’t) fall from the sky. But the issue is deeper. Shade trees, blue grass, most ornamental flowers, and nearly all of our favorite vegetables evolved or were developed in areas where soil and atmosphere have vastly different characteristics from our own. Below the surface, mycorrhizae form a link between soil and plant root, converting soil into nutrient for the plant. There are thousands of different mycorrhizae, and more is being learned about them all the time. What is known: the microorganisms, the plants, and the soil have become what they are together in fairly specific ways. It comes as a surprise to many to learn that soil, even the sparse grit and heavy clays of the Pike Peak Region, are teaming with life. It may also come as surprise that the partnership of soil and plant communities is very easily disturbed or destroyed and not so easily restored. Scraping the surface of vast tracts of land to make way for houses and lawns, even repeated foot or bike traffic interfere with or remove entirely what took a very long time to create. Over the next weeks, look for more posts about what gardeners can do to build and maintain healthy soil-plant relationships. Gardeners and garden watchers delight in anything alive in late February. Alive and colorful seems almost too much to ask. Unless, that is, you have a spot in your garden for hardy Cyclamen. Cyclamen are distant plant cousins to primroses and are native around the Mediterranean in Europe, Northern Africa, and Western Asia. Their habitats range from the floor of beech forests, through scrub and rocky areas, and up into alpine meadows. There are twenty species, and there are species that bloom in every month of the year. 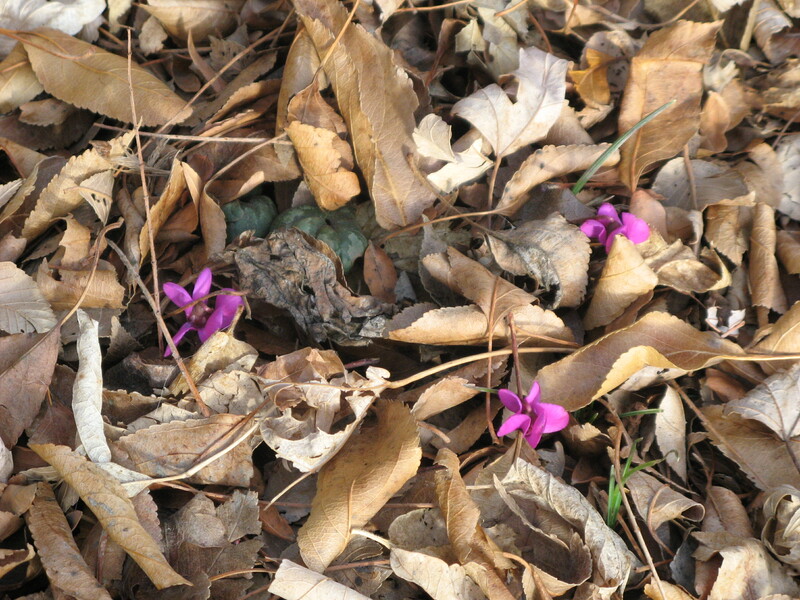 In a Colorado garden, give Cyclamen well-draining and thoroughly composted soil. Choose a protected spot, one that will retain leaf cover through the winter and is easily watered. 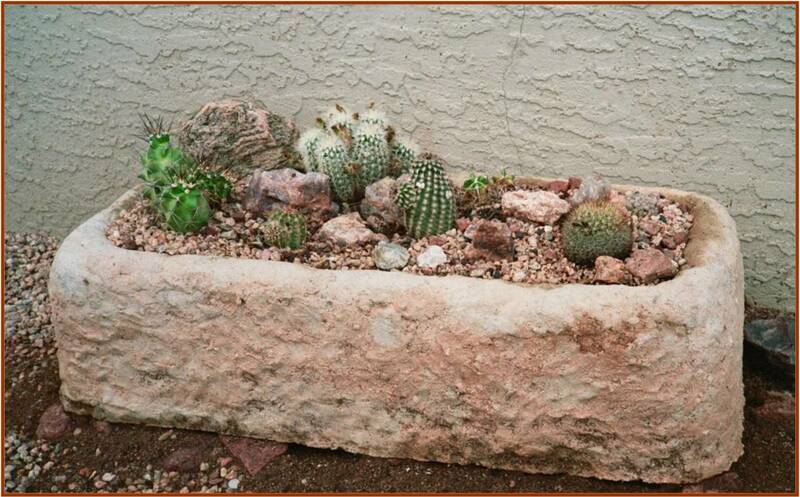 The east side of a house, wall, or large shrub or boulder can be a good spot. The south and west sides might be suitable with dappled shade. Generally grown from corms, cyclamen are planted just below the soil’s surface and don’t like to be disturbed. Corms live about a decade. The flowers will, however, readily make and sow seed, making them great for naturalizing and for rock gardens. The pictured Cyclamen was photographed in my garden on February 22. Although the mottled leaves suggest C. hederifolium, a fall blooming species, this is C. coum. Hardy in zones 5-8, the corms may stay dormant for a year after planting, as this one did. But, won’t you agree, it’s well worth the wait. Source McClure and Zimmerman. Further reading The Cyclamen Society. Mid-February. Can you see it? The sun’s peeking over the horizon just a little bit earlier and dipping behind the Peak just a little bit later. Honestly. Days are noticeably longer. Look close! 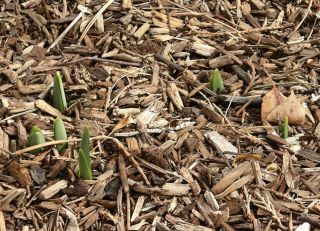 Bulbs coming up in Robb's Westside "Sleeping Bear Oasis" - photo by himself. Depending on each garden’s location, and the microclimates within each garden, crocus and other early bulbs might be poking their first green tips into daylight. A few choice spots may even have some crocus or snowdrops blooming. These first appearances are triggered more by soil temperature than day length. If you keep a record of your first crocus, over the years you’ll find the date shifts from early February to well into the first week of March. Two major factors govern early activity in the garden: Day length and temperature. Soil temperature, at this stage of the season, has a larger influence than day length or daily highs and lows. Fortunately, soil warms and cools more slowly, moderating the effects spikes and dips in the air can have on plants. This helps assure they show above ground at the right time. Seeing green tips, but feeling anxious about the inevitable cold spells yet to come? Not to worry! Leaves programmed to emerge in early spring have a hefty dose of sugary antifreeze.